Setting new standards. The BMW 5 Series is the embodiment of the modern business saloon. Thanks to its dynamic and elegant appearance, it convincingly meets the expectations that are placed on a vehicle of its class. This offers the driver the choice between the standard COMFORT Mode, ECO PRO Mode, geared towards efficiency, and SPORT Mode, which enables even more dynamic driving. Muscular looks and an athletic appearance – the New BMW 5 Series Saloon dominates the roads with its powerful engine and equally commanding stance. Even at a standstill, you’ll notice that every attention has been paid to detail during the engineering process, from the low sloping roof line to the broad saloon rear. This also applies to the standout LED Headlights applied to both grades and M Aerodynamic Bodystyling, available as standard with the M Sport grade. While quality craftsmanship and advanced visibility have been prioritised, this BMW also hosts a selection of forward thinking innovations. 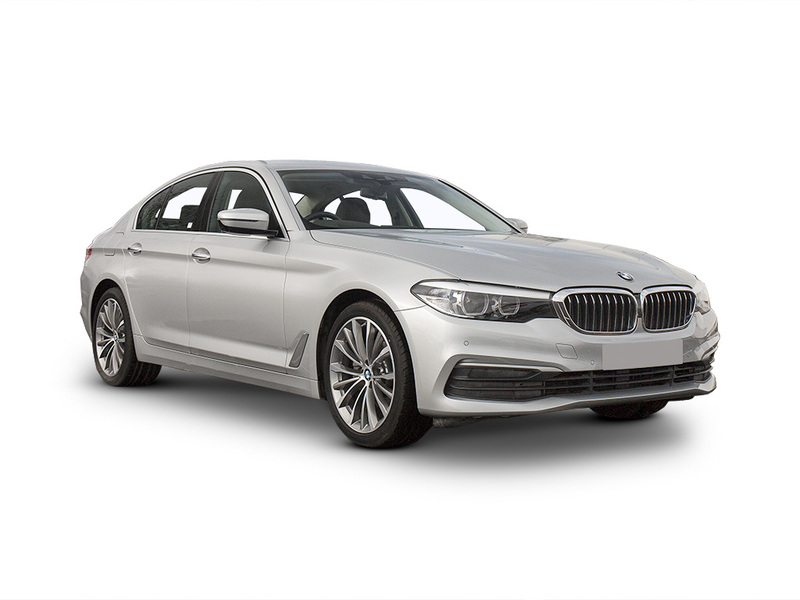 Choose between two variants and numerous grades to adapt the New BMW 5 Series Saloon as you see fit – it’s easy to select the engine of your choice. Include our renowned xDrive technology and make further customisations to suit your requirements. Our entry-level SE model is fitted with Ambient Lighting, Cruise Control, Drive Performance Control, LED Headlights, a Sport Leather Steering Wheel and Front Seat Heating, while our high-specification M Sport model features Anthracite Headlining, a Sensatec Instrument Panel, M Sport Braking System and LED Fog Lights, to name a few standout elements. Let's get the details right... Select any additional options and accessories for your 5 Series. Its mission statement: setting new standards. The BMW 5 Series is the embodiment of the modern business saloon.